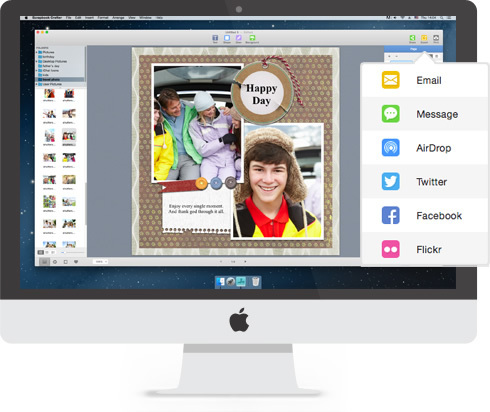 Starting a digital scrapbook on Mac can be extremely fun and easy! 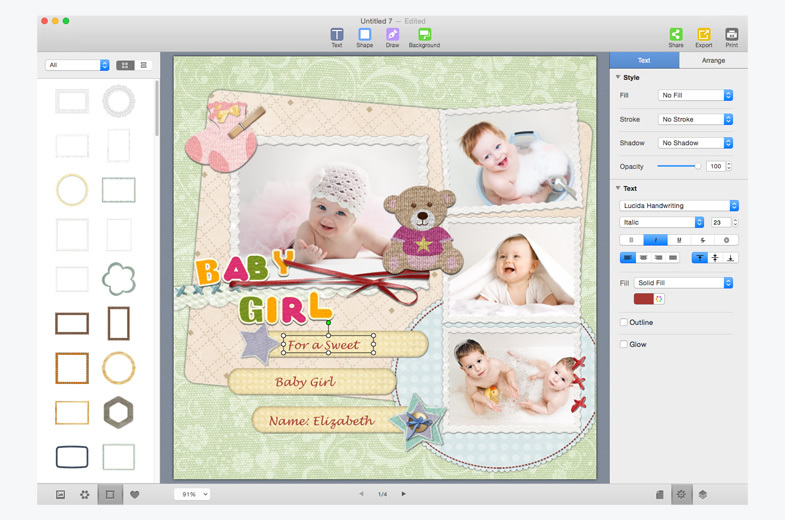 With this powerful scrapbook software, you can quickly turn your digital photos into memorable scrapbook albums for all occasions. Easy enough for all levels of users. 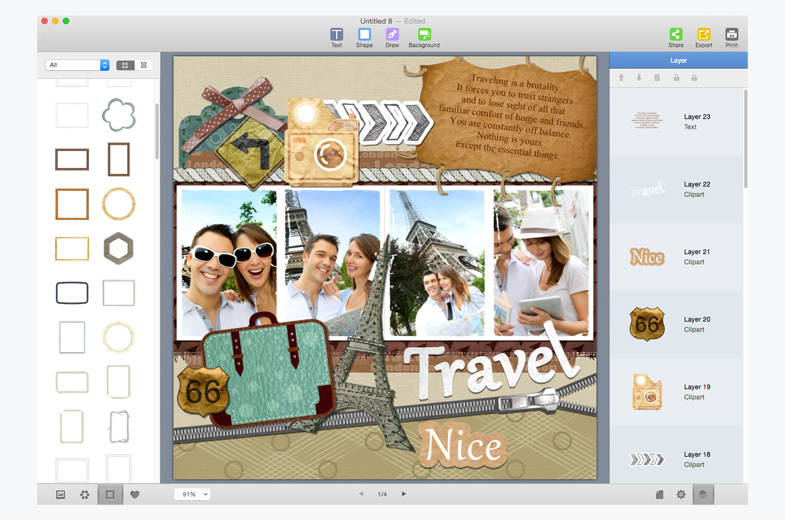 With only a few steps, you’ll have a creative digital scrapbook at hand. WYSIWYG - Real-time preview with high speed. 60+ professional scrapbook kits along with 240+ scrapbook pages help you make memorable scrapbook albums quickly. Scrapbook kits are designed for various holidays and occasions – Christmas, Easter, Halloween, Thanksgiving, Valentine’s Day, Anniversary, Birthday, Baby, Travel, Graduation, Wedding, and so on. 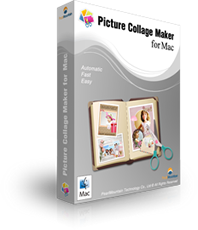 Apply 2500+ delicate clipart images to scrapbook at will. 280+ preset background patterns, 150+ frames & masks are available in this scrapbook software. 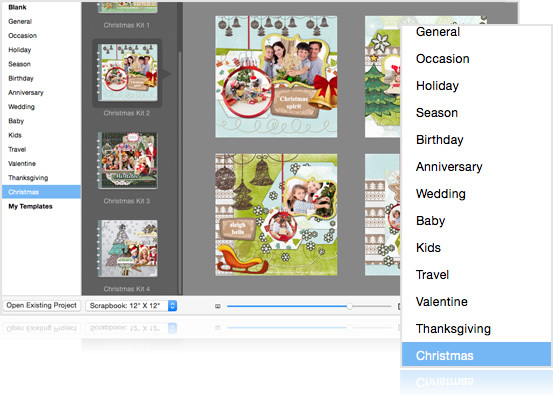 Easily drag & drop photos into scrapbook - Photo objects from iPhoto, Aperture, or from any folder in Finder. 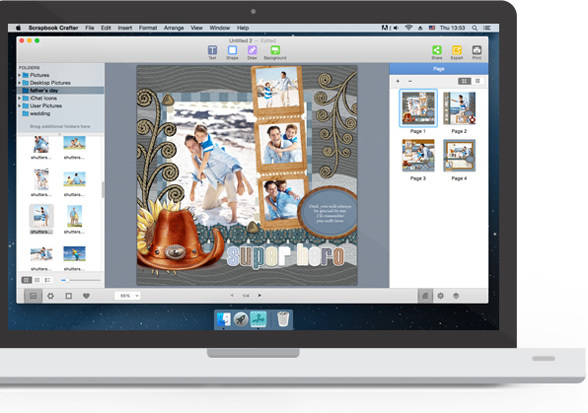 Freely add and delete scrapbook pages to fit your needs. Move, resize, and rotate any object with a few mouse clicks. Rotate, Flip & Mirror photo objects with ease. 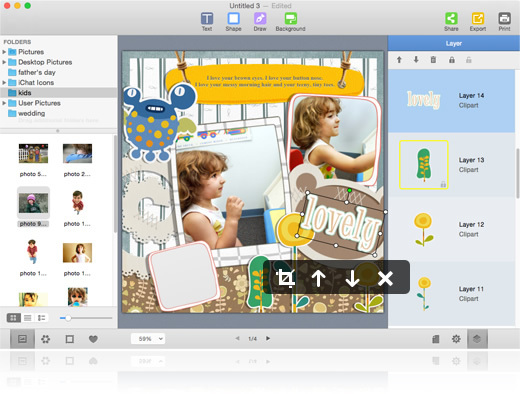 Free to manage layers of different objects to get a good look digital scrapbook. 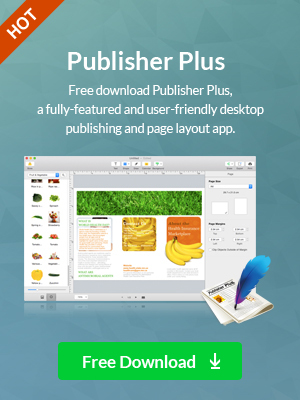 Support Lock/Unlock, Group/Ungroup, Undo/Redo, Copy/Paste/Duplicate and other advanced editing features. Insert text and customize the style, font, color, size, glow, outline, etc. at will. 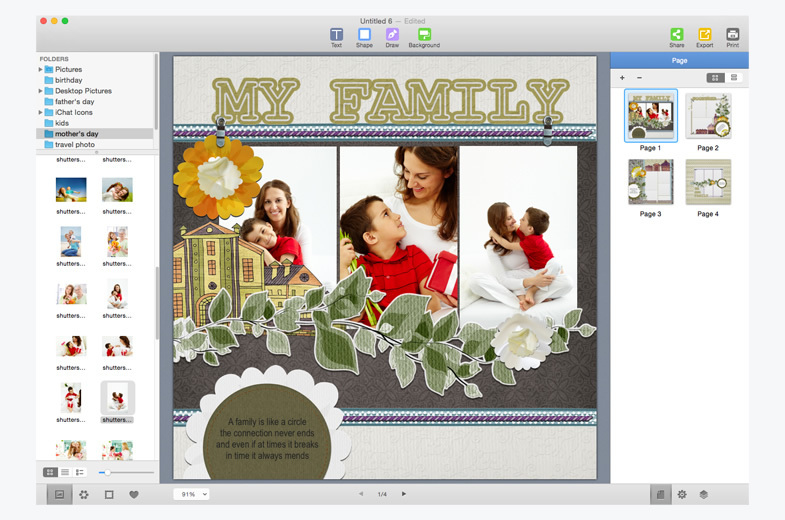 Add various preconfigured shapes or draw custom shapes for scrapbook. 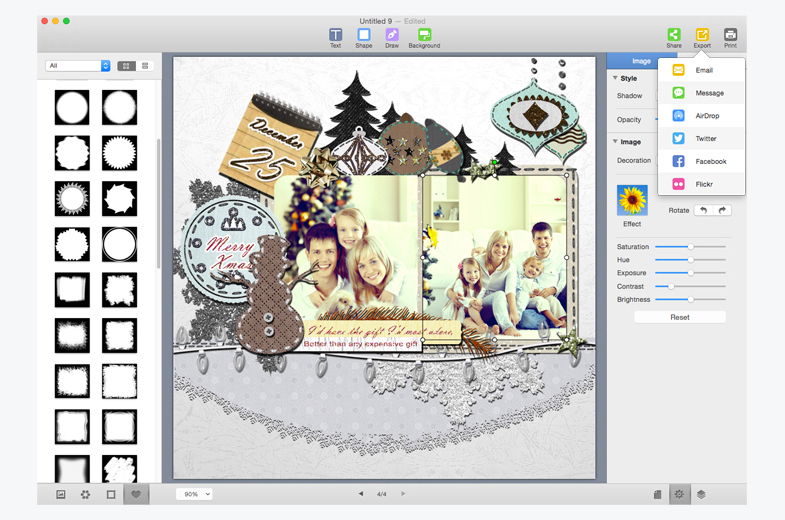 Apply delicate clipart to make your digital scrapbook more amazing. 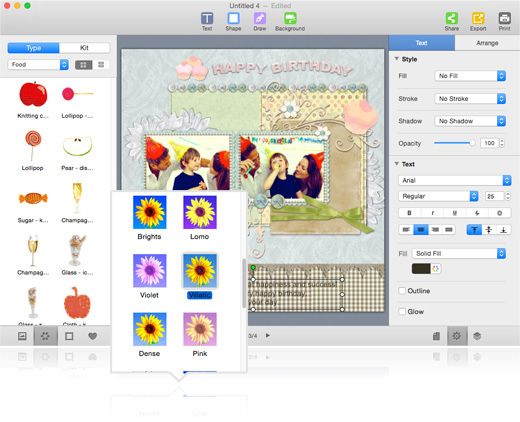 Customize background with specific colors, preset patterns or with your own images. 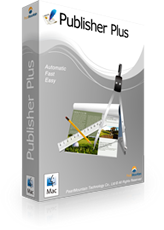 Apply wonderful photo effects, frames and masks to beautify photos, and easily adjust image colors. Add Fill, Stroke, and Shadow, etc. to create stunning artistic effects for objects. Add calendar object and customize it to fit your style. 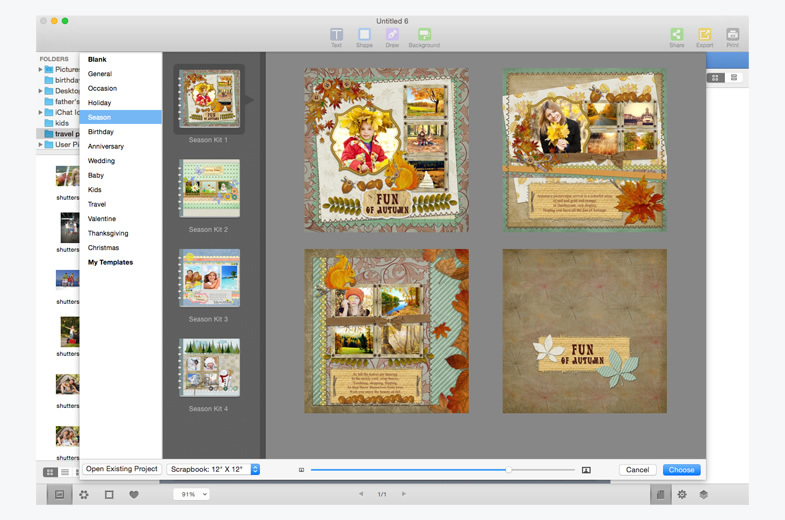 Export your digital scrapbook as a PDF, JPG, PNG, TIFF, BMP, and PSD. Share the scrapbook design via Email, Message, Airdrop, Twitter, Facebook and Flickr.